On Mars, a portal to Hell has been opened. Through it pour horrible monstrosities looking to conquer this new dimension. 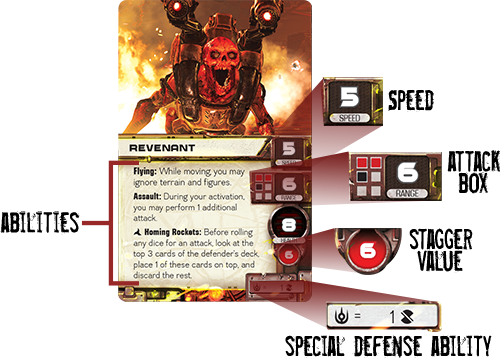 Stalwart Space Marines are doing their best to hold back the tide, but it's not going to be easy. All manner of terrible beasts are pouring out. 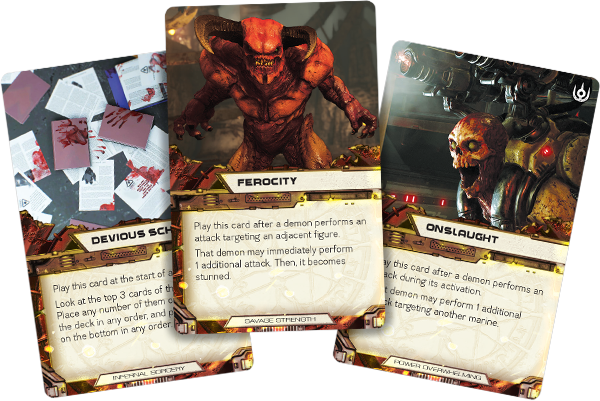 And you get to be in control of them as the Invaders player in the upcoming Doom board game from Fantasy Flight Games. That's what we get a look at today. 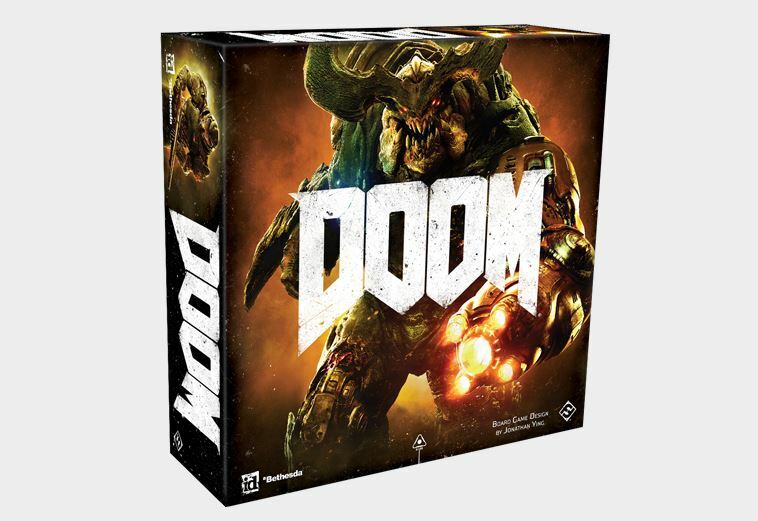 Seeing as how the game is designed as a "One vs Many" game, that means that while the Marine players get a single figure to lead around the board, the Invaders player gets a whole mess of demons they can play with. Some of them are kinda weenie and weak, but you get a bunch of them. 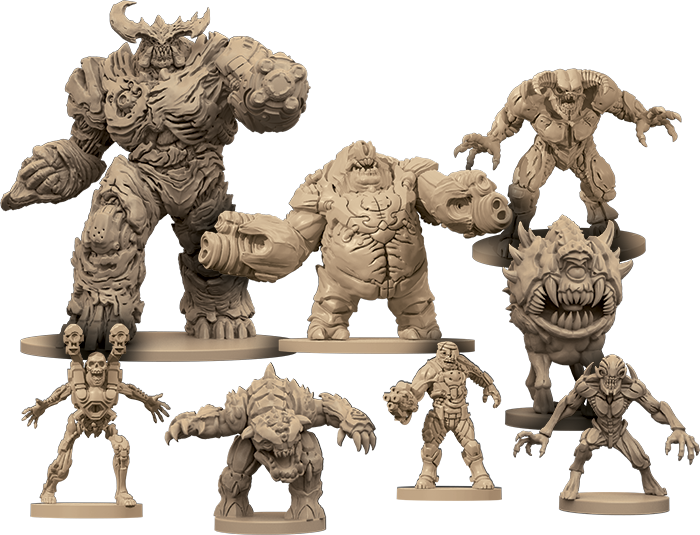 Others are huge and hulking and could take on an individual marine with ease, forcing your opponents to gang up on them to take them out. 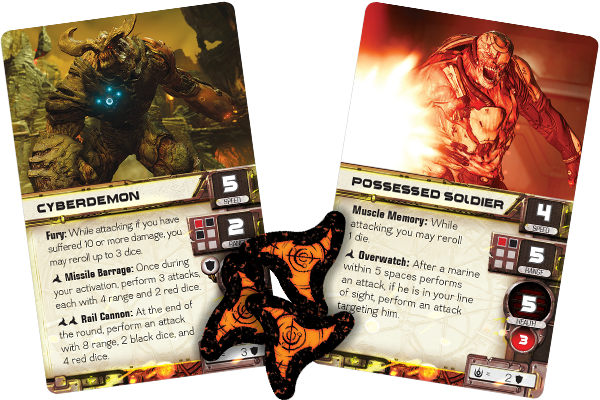 Each of your demons, of course, has a different role they can play in your strategy, giving you lots of options in how you want to play out your invasion, depending on what the scenario calls for and how the marines players are doing in the game. Though, personally, I'd just throw Cyberdemons out there and crush my opponent underfoot. But that's me.